Join WVSMA at one of our many scheduled events or conferences! 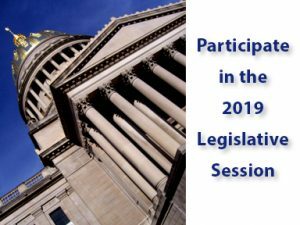 In an effort to encourage Legislative participation with our state law-makers, WVSMA hosted the first annual Advocacy Day on February 12th, 2019. This one-day event helped educate our Physicians on what WVSMA is working on at the Capitol during the regular legislative session. Attendees received a day of training, attended the Legislative Session and participated in sit-down meetings with members of the Senate and House of Delegates. See photos and more event information on our Facebook and Twitter pages! The West Virginia Association of Physician Assistants will be hosting their Annual Conference on April 5-7th, 2019 at Adventures on the Gorge. The West Virginia Chapter of the American College of Cardiology will be holding its annual conference on May 10-12, 2019 at the Embassy Suites by HILTON in Charleston. This year, we invite all our attendees to bring their families as we have planned some exciting events for everyone to enjoy! We will kick-off the weekend on Friday with a reception at the WV Power Park Legends Club. Join us for dinner while we enjoy the WV Power Baseball game, first pitch will be at 7:05 and will be thrown out by our own – Dr. Elie Gharib! Saturday, we will have a list of things to do around the Charleston area during the day with a complimentary shuttle while our Physicians attend conference meetings. Saturday evening, we invite all guests to join us at the Clay Center for dinner and the unique opportunity to explore the Avampato Discovery Museum after hours, exclusively for American College of Cardiology – WV Chapter members and families. We hope to see you there! The West Virginia State Medical Association will be hosting its Annual Health Care Summit from August 23-25 at the Greenbrier Resort. REGISTRATION: Stay tuned for booking and registration information.